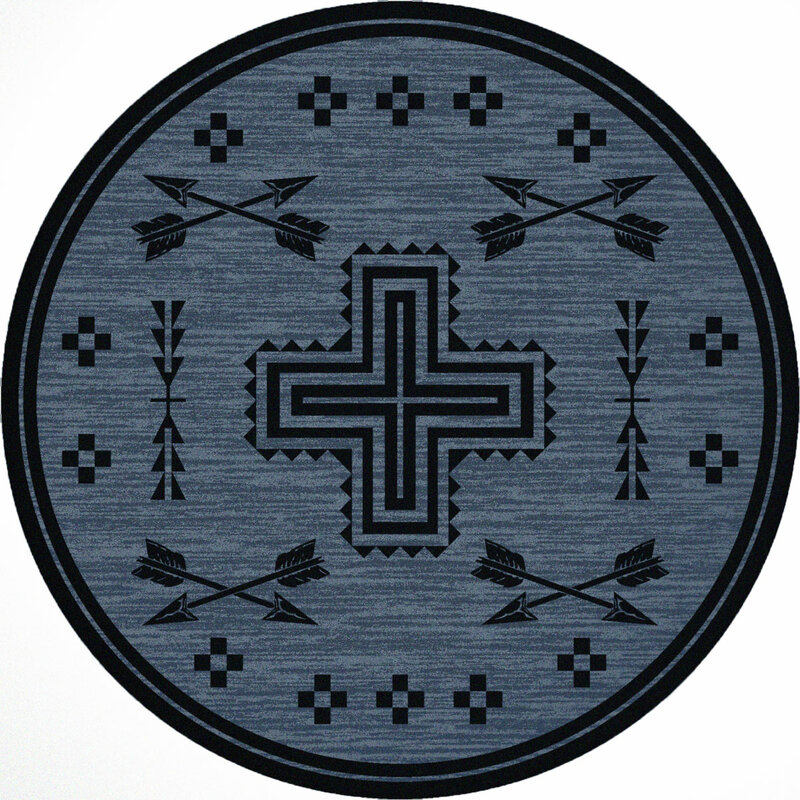 A Lone Star Western Décor Exclusive - An arrow and cross design embellishes abrashed charcoal on this premium nylon rug with serged edges. Fade and stain resistant. Made in the USA. 7'7"Dia.. Allow 2 weeks.